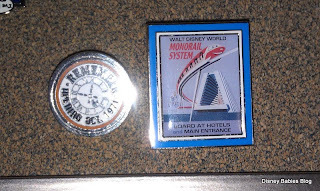 Our first day in the parks, Marathon Sunday 2012, had a very limited rope drop and an introduction by a character that I wasn't too familiar with - Scoop Sanderson, reporter for the Main Street Gazette. Then, later that same day while we enjoying lunch at The Plaza, we noticed Scoop standing outside. 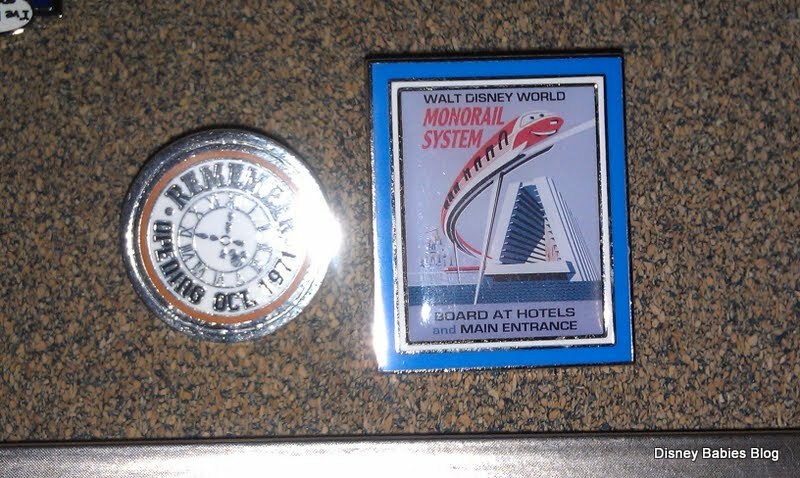 Melissa noticed that he had some amazing pins and it made us curious... do the big time guys pin trade? Well, we figured we had our shot so we should go ask! We headed out front to say hi and had a wonderful conversation with a great 'character' of Main Street. And, though he wasn't sharing his pins that you can clearly see, he unbuttoned his vest to display 2 full strands of amazing pins! We said we could each trade 1 from each strand. Cool, huh? 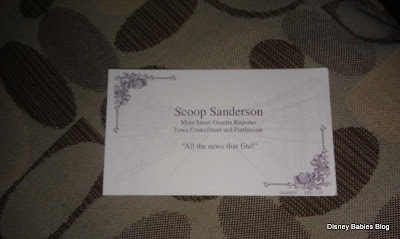 Well, not only did we experience that much of Scoop, but he gave us his card! "All the news that fits!" I'd heard prior to that about cards, but had never seen or received them! A few minutes after we traded and sat back down, Scoop walked into the restaurant to announce that two children were guest reporters for the day! It was all very ceremonial and the kids loved it! Gotta love those special characters! That's incredibly cool! 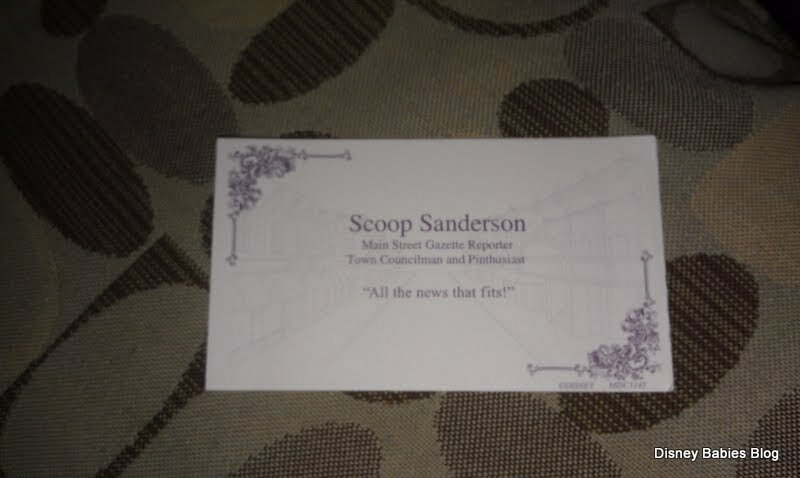 As I read your post...I couldn't help but think hot great it must be to get out of bed each morning and head to work as Scoop Sanderson. 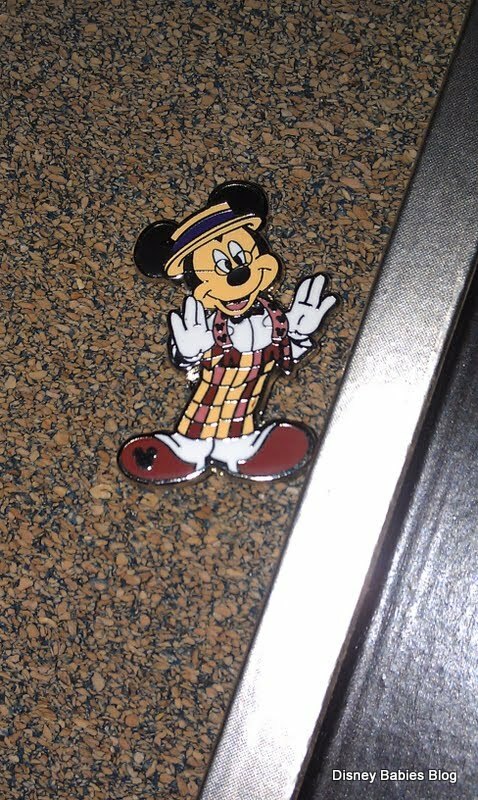 And the Scoop Mickey pin is adorable!